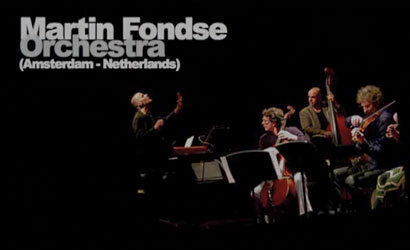 Martin Fondse Orchestra featuring Lenine (Bra) : Eric has been a long time member of Martin Fondse’s projects and bands. Eric deeply admires Martin’s writing and arranging and they both are very good friends as well. A very special project is Martin’s ongoing collaboration with one of Brasil’s main popstars Lenine. This versatile guitarist-singer and Martin have a very special bond. Martin rewrote a selection of Lenine’s hits fort his project. In 2013 the MFO performed this project at the Dutch Music Meeting Festival, Moers Festival Germany (both without Eric who was too busy with Sezen Aksu) and on a Brasilian tour in October. In July 2014 the project toured Europe and played Central Park New York as well as the North Sea Jazz Festival. In 2015 the recording of a DVD is planned in April.